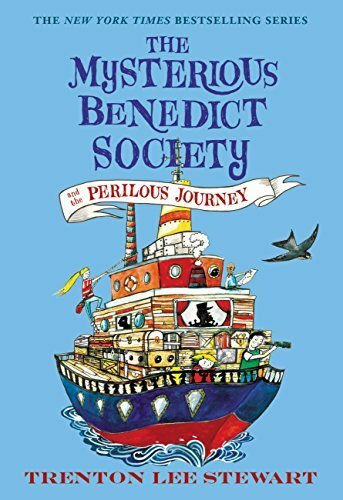 The Mysterious Benedict Society is back with a new mission, significantly closer to home. After reuniting for a celebratory scavenger hunt, Reynie, Kate, Sticky, and Constance are forced to go on an unexpected search–a search to find Mr. Benedict. It seems that while he was preparing the kids’ adventure, he stepped right into a trap orchestrated by his evil twin Mr. Curtain. This is a good book. Not as good as the first in the series though. I enjoyed the plot, but one of the character’s is telepathic which I was not a fan of. A lot of people rave about this book, but I did not think that it was as good as people say it is. I think kids who love adventure stories would enjoy this book.